You might’ve been wondering what type of ukulele you have, especially if you enjoy playing ukulele with your family or with your friends. You also might’ve noticed that some of your friends have different ukuleles, not only in terms of design, but in size as well. There’s a perfectly logical explanation for that – you might’ve seen different types of ukuleles. If this particular topic interests you, we’re here to explain the ukulele sizes, types of ukes, and such. Baritone Ukulele is the largest ukulele size. Baritone’s are often quite heavy, and the standard baritone size is 30” (or 76 cm). 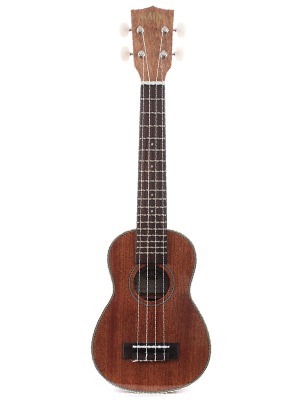 People seldom choose baritone ukulele as their first instrument, mainly because it’s quite large for a ukulele. This makes it not very portable, which is a big part of a ukulele's charm. As for the sound, Baritone ukuleles have a deep tone that resembles classical guitars. Considering the tuning, Baritone features a guitar-like tuning, and it comes with more frets (up to 21, actually). Baritone ukuleles also come with four strings, just like all other Uke sizes and types. Tenor ukuleles are also considered to be the middle-category of ukuleles. It’s one of those Uke sizes that are preferred by beginners and casual players, mostly because they’re very portable, they’re lightweight, and the market’s full of them. 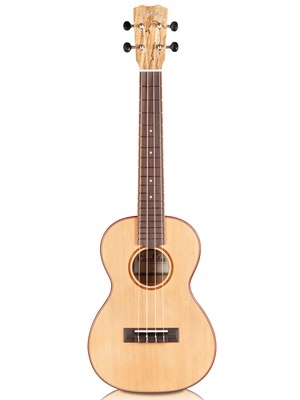 The size of a tenor ukulele is 26” (66 cm), which is just enough – it’s not too long, and it’s not too short. The Tenor category is the first to stray from the standard ukulele sound, as it outputs a classical guitar-like sound. When compared to Soprano, Tenor ukuleles sound a lot deeper. Concert ukuleles are just a bit longer than Soprano ukuleles. The concert ukulele size has a larger neck & body construction, while also have extra room between frets. Concert ukuleles are way easier to play, and they got their name because professional musicians tend to choose them for their marvelous sound. The sound of Concert ukuleles can be compared to Soprano ukulele, but it’s only a bit deeper. Another reason why concert musicians prefer concert ukulele types is because they produce a louder sound, if only by a bit. Soprano is one of the ukulele sizes that is considered to be a standard ukulele. Most people favor this class of ukulele because of the well-rounded performance and the comfortable size of the design, as well as the manifold of advantages it provides to the player. The soprano size is 20” (or 51cm, however you like it). Soprano ukuleles fall into the middle category of ukuleles, both in terms of weight and size. There are heavier and longer ukuleles like the Super Soprano and Baritone ukuleles. On the other end of the scale there are the smaller models, such as the sopranino, sopranissimo, and such. Super Soprano is the middle category between the Soprano and Concert ukuleles. It features the same number of frets as a Concert ukulele while retaining the sound properties of a Soprano ukulele. Super Soprano ukuleles have the same level of action as Sopranos, but they tend to mimic the sound of Concert ukuleles. 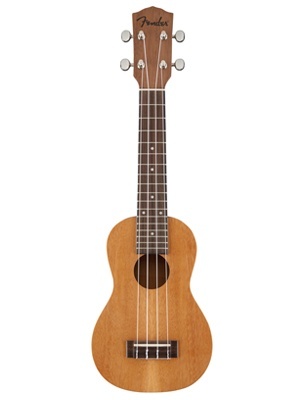 When compared to larger types, this ukulele size is still considered to be small. These Super Ukuleles are often 21-22.5” in size, but they are one of the categories that are least sold, and they’re valued by musicians and collectors only. Most average shops don’t have these ukuleles in their stock, so if you’re interested, you might need to order them specifically. The pineapple ukulele is just another variation of the Soprano ukulele. It features the same size as soprano (around 20 inches, to be precise), but it comes with a totally different design. It does not have a waist, so the sound output becomes fuller and deeper, mainly because of the wider soundboard area. The Pineapple size was designed by Samuel Kamaka, quite recently. It first became popular in the mid 1920s. 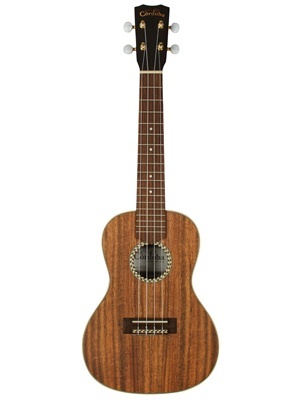 This is not actually a ukulele “size” – it’s more of a ukulele “shape”. 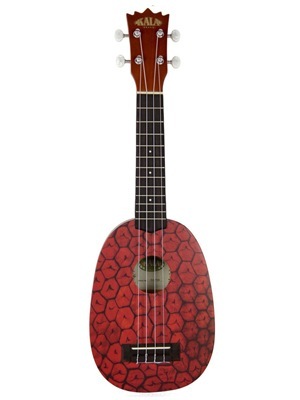 When compared to other ukulele models, this is the only category that features this type of design, and it sound is quite unique – it’s neither deep or high. Pineapple ukuleles are quite common these days, and you can come across these models online with ease.All in all, Pineapple ukuleles are best for musicians who have at least some experience with regular sizes of ukuleles. 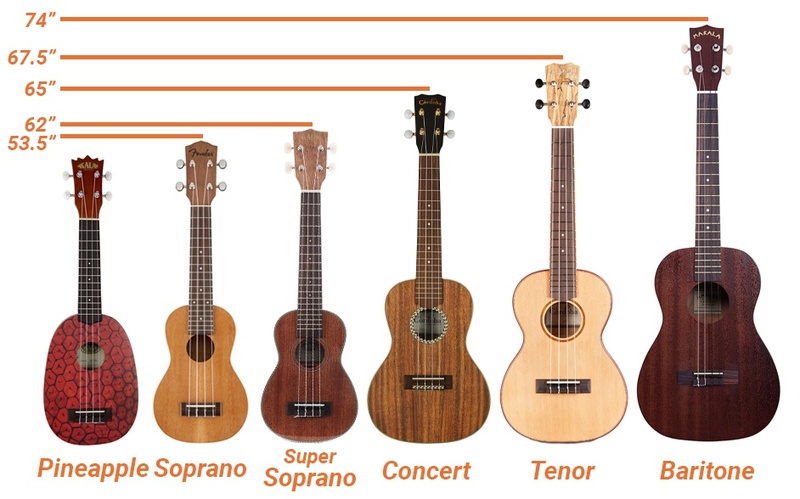 There are actually eight sizes of ukuleles, but some aren’t so popular, so you might never see sizes such as “Super Tenor” or “Sopranino”. These Uke sizes are mainly preferred by musicians that belong to an orchestra, and casual ukulele players seldom get their hands on these types of ukulele.